Palm Beach is a remarkably small town to be so famous; its population is only a little over 10,000. Nor is it an old town: the oldest extant building dates from about 1885, and the town itself was not incorporated until after 1900. What has granted Palm Beach its fame is the same combination of elements that made Bath famous in the 18th century: a very few clear-sighted men—they can be counted on the fingers of one hand, wealthy families attracted to what these men had to offer, and some remarkable architecture built when wealth and vision intermingled. 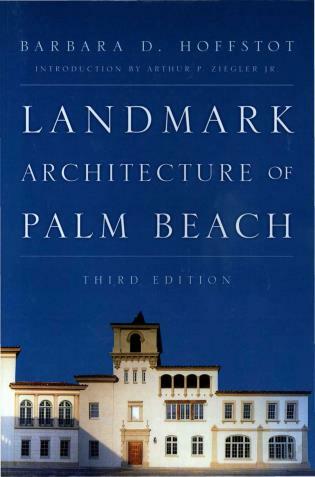 This book records that architecture. The contents are strategically arranged, so that the visitor can drive or walk the area and see the buildings sequence of location. 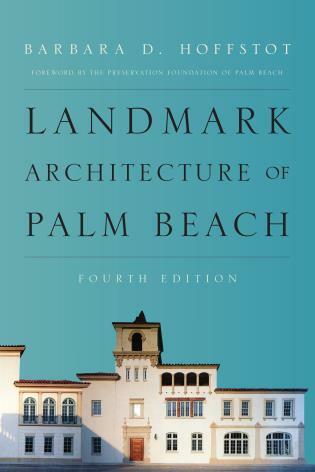 Within this compendium of photographs and descriptive text, you will find more than 150 Palm Beach buildings written and photographed by a resident active in historic preservation. The book does not attempt to evaluate, but rather to exhibit the richness and diversity of this extraordinary place. The late Barbara D. Hoffstot served as a trustee of the National Trust for Historic Preservation in the United States and was a member of the Pennsylvania Historical and Museum Commission during the administrations of Governors William Scranton and Raymond Shaffer. She was a co-founder and vie-president of the Pittsburgh History & Landmarks Foundation and was a member of the board of the Victorian Society in the United States, She was a vice-president of the Preservation Foundation of Palm Beach and a member of the board of the Palm Beach Historical Society. Mrs. Hoffstot resided in Pittsburgh and also in Palm Beach, where she owned a house designed by Maurice Fatio. 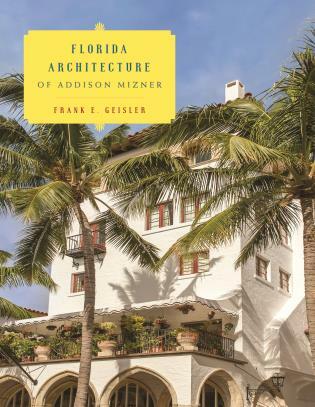 The work of famous architects is featured, notably that of Addison Mizner, Marion Wyeth, Maurice Fatio, Howard Major, John Volk and the designer Joseph Urban. Also covered are the famous Breakers Hotel, the Bath and Tennis Club, the Everglades Club, and the shops of Worth Avenue.